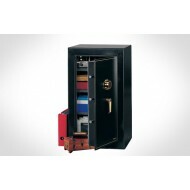 This large Sentry security safe has many security features: a UL Goupr II rated combination lock, a steel drill protection plate behind the lock, and concealed hinges. The Sentry D880 door is solid steel. 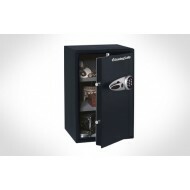 You can adjust the interior to fit your needs with two adjustable shelves. 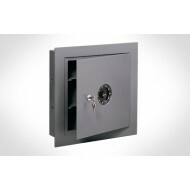 This Sentry Depository safe is meant to be bolted to the floor. 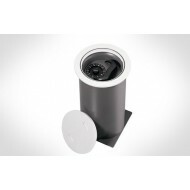 The design allows you to do that easily and instructions and hardware are included. 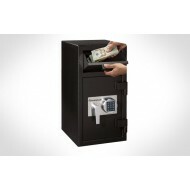 This is a heavily built safe because we realize our customers are going to store cash. The DH-134E has solid steel construction and an anti-pry door. 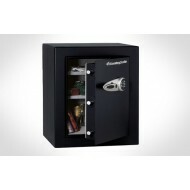 Behind the electronic lock is a steel plate that protects the safe from drill attack. 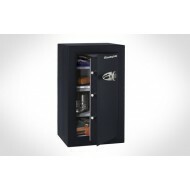 This is a practical safe for any small business, office or non-profit. 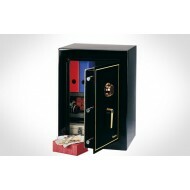 This Sentry depository safe is designed for easy deposit of cash through a slot. 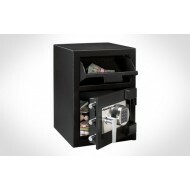 The cash then travels to a very secure inner compartment. The DH-109E is designed to be bolted to the floor and hardware included. The electronic lock is easy to program and quick to use. You can reprogram the code any time a manager leaves. 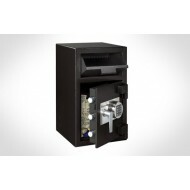 This is a heavy duty secure safe for retail, office or non-profits.